I was looking for a black eyeshadow, specifically, the blackest of the black. I did my research and read that this had fit my criteria. Without hesitation, I had popped into my nearest counter to get this without swatching it in store. Big mistake. I am so disappointed. This doesn’t come close to being blackest black no matter how much I layer it. It’s just a basic black eyeshadow. It’s great for those who don’t want it too black. The above swatch is only one swipe. There’s no intensity. Due to the matte formula, I had found it hard to use. 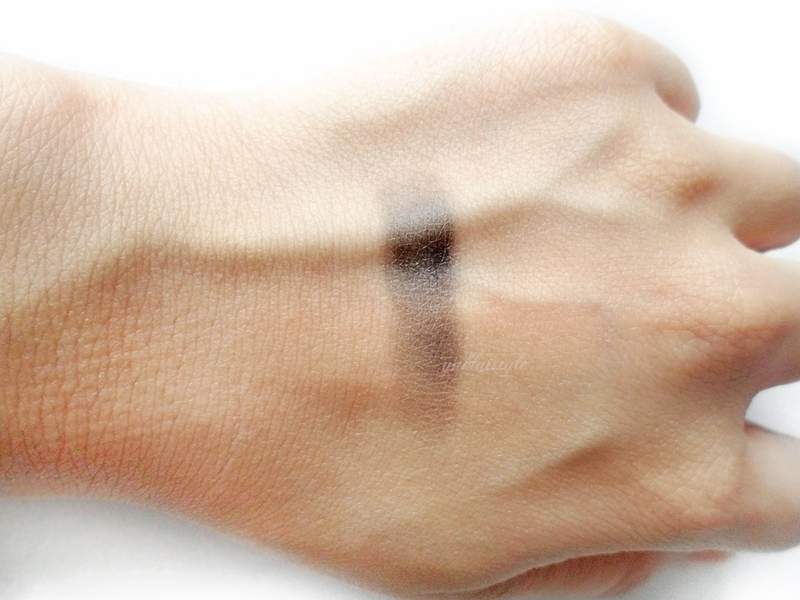 Even though it is soft, when applied, it was patchy, not very pigmented and difficult to blend. When it does blend out, it loses its colour. It is a buildable shade but hard to work with. Even after many layers, it’s still not as black as I hoped for, as I would describe it as a chalky, grey black. I have applied it over an eyeshadow primer and it still didn’t help. It’s not too bad when it’s applied over dark bases since you won’t be able to see the patchiness. The first time I’ve used this was on the eyelid only on a night out. It lasted all night. That’s the only good point I could say. Beware that this does have some fall out. I wouldn’t purchase this again. I’ll probably sell this as it’s been sat in my drawers and has only been used once. The hunt for the blackest black continues. If you want a less intense black, this would be the one for you. Are you a fan of black eyeshadows? I love dark colours like this. Perfect for when I am in a dark mood haha. Urban Decay used to do a very dark black. I haven't bought them since they sold out to l'oreal as the quality went bad, but I imagine they have the pigment still. It might not be as disappointing. This does look poor. I'm sorry you were disappointed with this shade and that your quest to find the blackest than black is destined to continue. Good luck! I don't think I would wear such a dark colour now. I'm sorry you were disappointed, hope you find one which suits you. 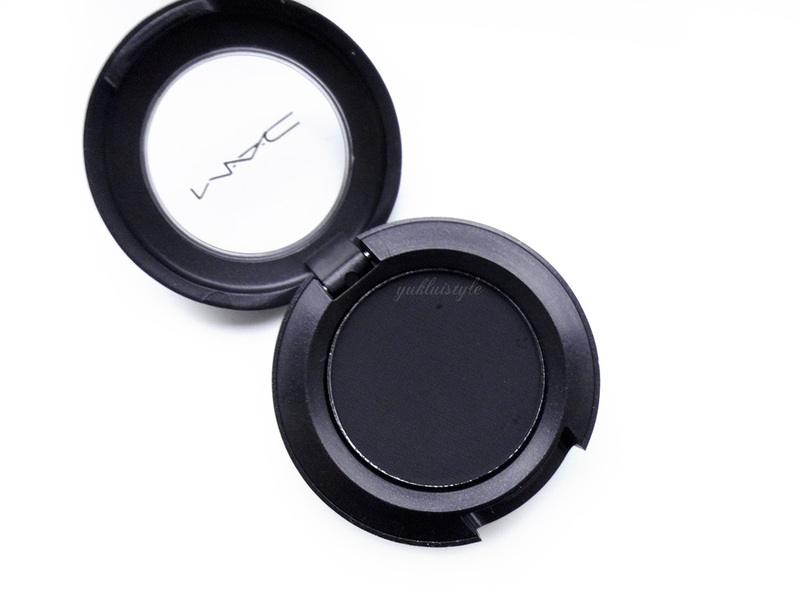 I need to buy this, I love wearing black/dark eyeshadow on nights out. I have carbon, I love it! I use it as a liner, smudged and pretty much everything! That is definitely not black I can't believe how unpigmented it is no wonder you were disappointed. They aren't cheap either. To be honest no, I'd go for a brown colour myself. So weird, I have always heard such good things about Carbon too! That is terribly pigmented…. glad I read this before ever thinking about buying it. I don't know if you have ABH in the UK, but if you do, try their Noir shadow. Super black! I haven't tried that eyeshadow this is good to know. I've never really used a lot of black eyeshadows. Yea I am. I have a similar shade I use for special effects ? Cant believe it isn't that pigmented – I thought it would be crazy intense! Not really a fan but I have a close friend who's really into black eyeshadows. I once accompanied her to buy one from MAC. 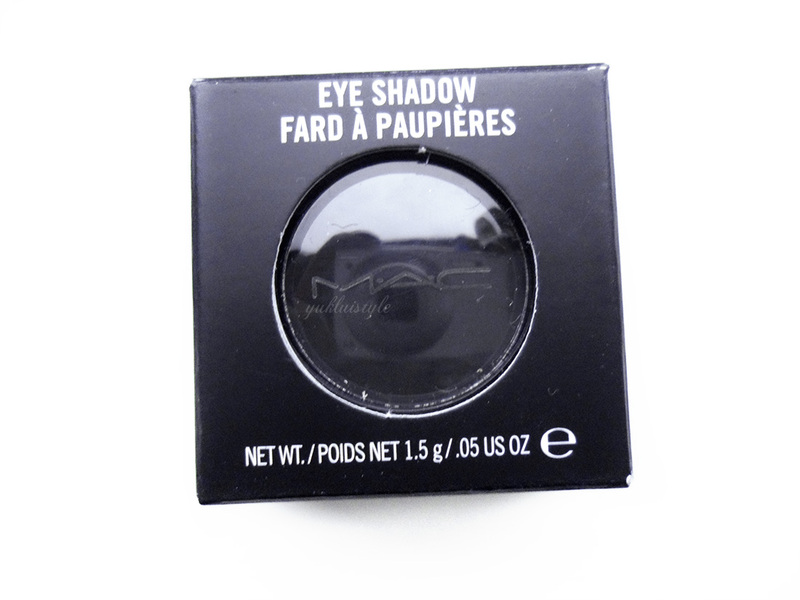 I love Mac products and I am in desperate need of some new eyeshadow! I need to go shopping! Wow I bet this is lovely for helping create a smokey eye look! I have never actually won dark eyeshadow before so not idea how I would feel about black eyeshadow.